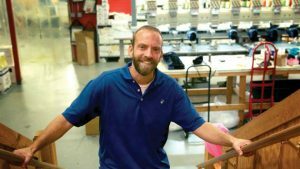 A Kentucky circuit court and the court of appeals ruled in favor of a Christian business owner who declined to print T-shirt messages for a “gay pride” event, citing his religious beliefs. But his fight isn’t over. The state’s so-called human rights commission had ruled that Blaine Adamson, owner of print shop Hands on Originals (HOO), discriminated against homosexuals when he refused to provide services for an event that conflicted with his beliefs. The losers appealed to the Kentucky Supreme Court, which has agreed to hear the case. Working with “gay people” didn’t matter and wasn’t nearly enough to satisfy their desire for all to approve of their lifestyle. Hopefully the state’s highest court agrees. Would the court, or any court, rule against a black business owner who declined to provide services for a “white pride” parade? Previous Why Is Facebook Groveling? Next Paul Ryan — Still an Entitlements Reform Crusader? A possible solution is that the sponsors of the Gay Pride activities across the country go to Syria to have their needs met.